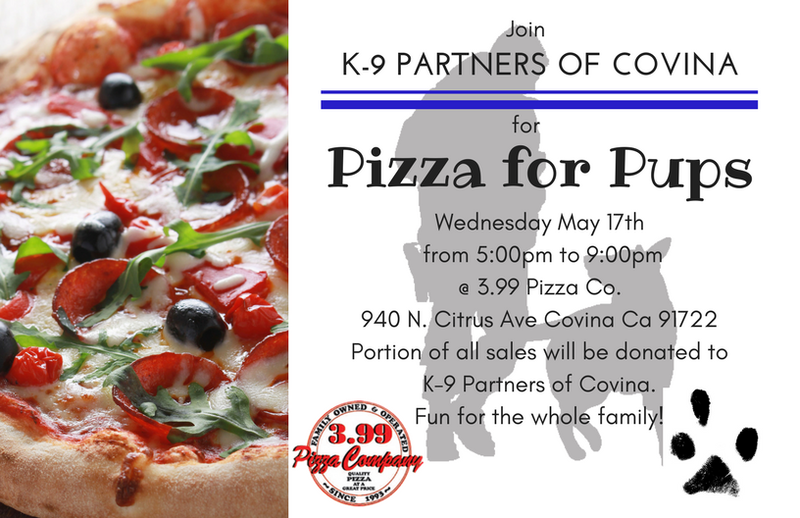 You're invited to spend an afternoon with the K-9 Partners Of Covina, Wednesday May 17th at $3.99 Pizza Co. in the city of Covina for "Pizza for Pups". The event will be from 5:00pm to 9:00pm, A portion of the proceeds will be donated to the K9 Partners of Covina. So stop on by and enjoy some great pizza for a even greater cause!